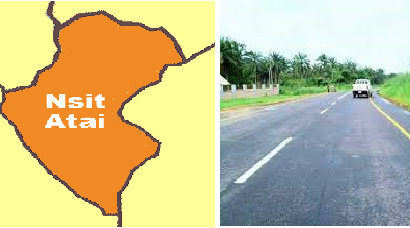 Bende town in Abia state is a popular town in Abia State, southeastern Nigeria, it is one of the largest towns that makes up Abia state from the following towns listed Aba, Bende, Isuikwauto, and Afikpo. It is a Local Government Area in Abia State and also headquarters of Bende LGA. The town is 28km to Aba, 392km to Abuja and 479 to Lagos. Bende which is made up of many communities have been adjusted to just few which are, Itumbauzo, Uzuakoli, Umuhu-Ezechi, Nkpa, Ozui-Tem, Umu-Menyi, Igbere, Alayi, Ugwueke, and Item. The word Bende is use to described honor and victory of the governance of the Old Bende to the town Bende which was and it still the present headquarters of Bende people. Bende is rich in many natural resources which are Limestone, Laterite Gravel, Gold, Salt, and Phosphate. Bende is also known for it good Agricultural produce, which is mostly Rice, Cassava, Potatoes, Cocoyam, Yam and Palm nut. The major occupation is farming and hunting in the village of Bende, the people living along Imo River also specialize in fishing while the urban area is Paper Industry, Miners, Goldsmith, Blacksmith, Construction company, Health practitioners, Lawmakers, Engineers, Civil servants etc. The town is a hotcake for any kind of trade with a population that is 220,460 people in 2013 while 2006 was 192,621 and 1991 was 132,271. Bende has dwelt on Agricultural produce for years and has remained as top leaders until the sudden demand of crude which then increase the Oil market and lead to a fall in farm produce. The dishes in Bende is a general food in the state of Abia and Igbo some of the food are Banga soup, Poundo Cocoyam, Orha soup, Olubu soup, Egusi soup, Yam pottage, Rice, Akara (Bean Cake), Moimoi, Agidi, Ofe Ugba, Ofe Nsala, Nkwobi, Jakwu Abacha etc. Bende is mainly a Christian town and some Traditional worshippers in the village of Bende, Muslim does not have a place except for those migrants who comes to the town for a purpose. The major church here is Catholic Church, Anglican, and Assemblies of God others are Redeem Christian Church, Winners Chapel, and Christ Embassy, though these are the only churches within our reach. Others could be found in some part of the town. The people of this town speaks Igbo language, English, and other Nigerian languages which are as a result of the migrants from other cities, the languages spoken are Yoruba, Efik, Ibibio, and Hausa. Ugwuabia Festival which is usually celebrated by all the Local Government Area in the state is referred to as “pride of Abia”, Bende dance war, etc. The state also has various site attraction which some are in Bende LGA like the Ulochukwu Abiama Cave of Amankalu Alayi. The indigene of Bende could be referred to as Brave people, History can explain better in their traits on how they have conquered tribulations and have faced challenges. Bende has prestigious and excellent men in Nigeria which are Ukeje Philip, the Eze of Alayi, Okechukwu Edward Ukeje also called Mr. Raw, Mr. James Iroha (Giringory Akabuogu), Chinedu Ikedieze (Aki), Dr. Orji Uzor Kalu former Governor of Abia state. There is five airport close to this town, though the closest is Sam Mbakwe International Airport with a distance of about 49.8km.